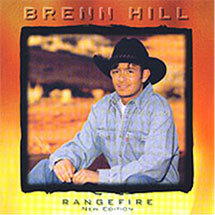 RANGEFIRE, Brenn’s debut album, received numerous recognitions as this venerable young lion of the western genre boldy portrayed the west with cinematic imagery and depth-of-emotion well-beyond his years. Songs like Call You Cowboy, Rewin The West, and Rangefirehave since become campfire classics. You will listen many times over to this collection.